CorrVisual™ software provides an easy to use and flexible graphical user interface for the setup, control, and data visualization of Corr Instruments' nanoCorr® Coupled Multielectrode Array Sensor (CMAS) Analyzers. 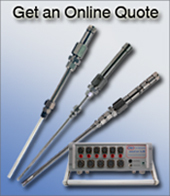 CorrVisualTM can be used for online and real-time corrosion monitoring via RS-232 (or RS-485) with a personal computer using CMAS probes. CorrVisualTM allows simultaneous control of one or more nanoCorr® CMAS analyzers, with each being connected to up to 3 or 6 independent probes depending on the model of the analyzers. 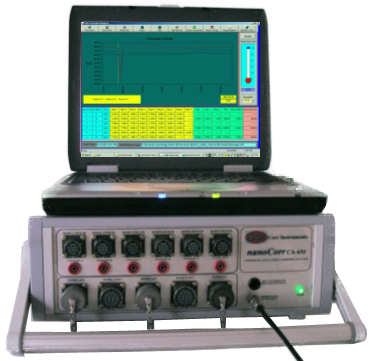 During the measurement, the signals of corrosion current /or corrosion current density, the corrosion rate, the penetration depth, the corrosion potential (or coupling potential) for each independent probe, the experimental temperature, pH, ORP and other controlling parameters for data acquisition are displayed dynamically on the computer screen in both graphical and numerical forms. The signals can be saved into a single data file or grouped into several categories and saved into separate files for easy manipulating and plotting using other software at a later time. Data files are in ASCII text format and can be easily exported into many commercially available data analysis software, such as Microsoft Excel. The dynamically displayed charts can also be printed or copied/saved during the monitoring.